Cake Smash sessions with Birth Photography Brisbane are so much fun for your little 1 year old! They get to play with food that they are normally are told off for doing! It is a fantastic opportunity to test out there 5 senses also. It is really the perfect way to celebrate your babies major milestone of reaching the end of his/her first year of life! I can also do a couple of family photos as part of this session also if requested. 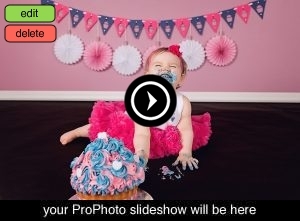 Check out the following images and a video from one of our cake smash sessions too. You need to supply an outfit to suit theme chosen and the cake. We sort out the rest. Book in your session today!